Information source: Traffic Commissioner for the Eastern Traffic Area - Notices & Proceedings Report 2178 - published on 30th April 2014. 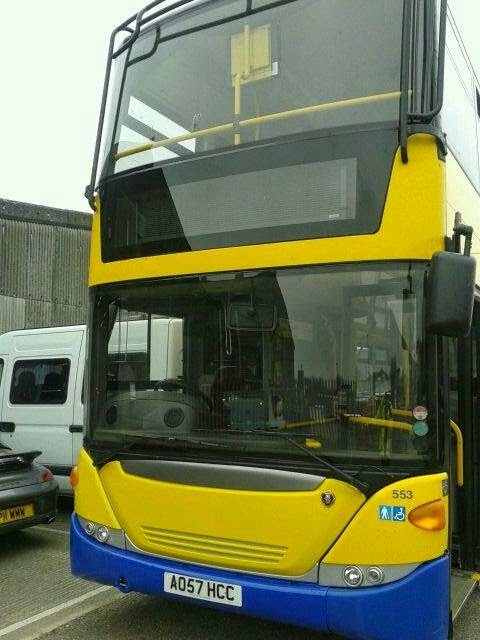 SN60CAA on the X2 to Lowestoft! 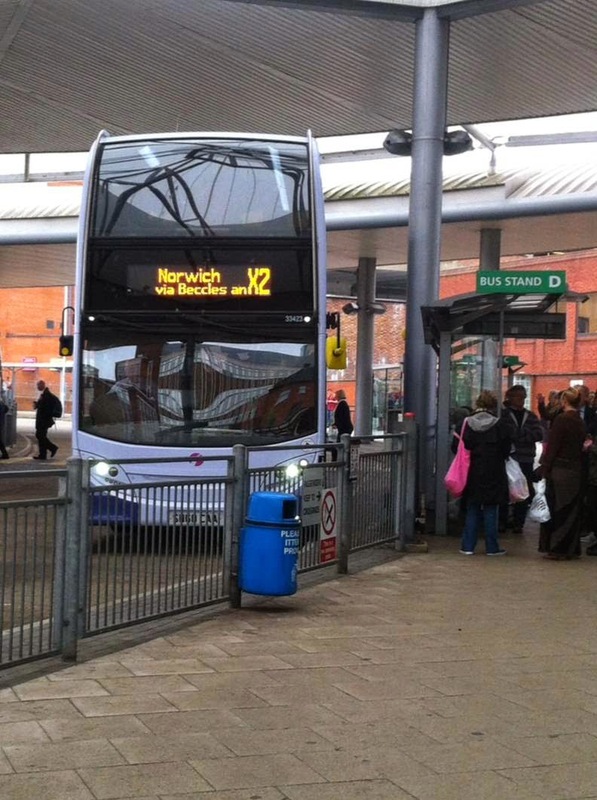 He then subsequently happened to be in Norwich Bus Station about to catch the 12:50 X1 to Great Yarmouth when he saw 33423 just pulling into the stand from Lowestoft displaying Norwich X2; confirming his previous thoughts! Sheringham, so the run to and from Muckleburgh was a special just for us. That low bridge would concern me though as any standing passenger would strike it. and Great Yarmouth. A true local unit then. My only disappointment was when a steam saddle tank engine (Ring Haw) was attached for the next journey and the diesel engines shut down, I left. Surely after paying £22 for a Rover for two to ride on a booked Diesel service it should not then be steam hauled.! 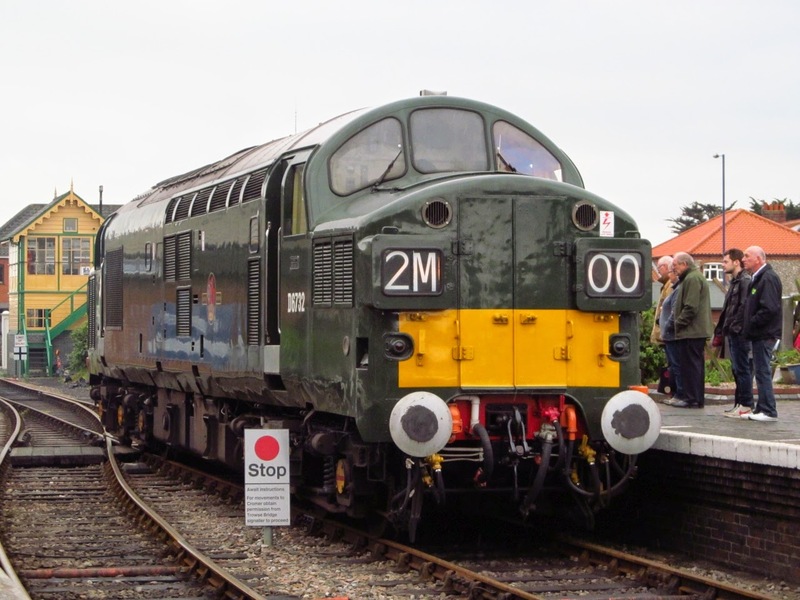 I have found this 'Steam Is The Only True Motive Power' attitude on other preserved railways, they just cant imagine that a visitor would enjoy a Diesel, especially a DMU! This is the 1,000th post I have made to the blog - where has all the time gone! I just cannot believe how much it has developed over the last three and a quarter years into what it is today. It is hard to understand that when I first set it up on 3rd January 2011, to write up my own sightings, that the number of visitors to the blog are now approaching 400,000! 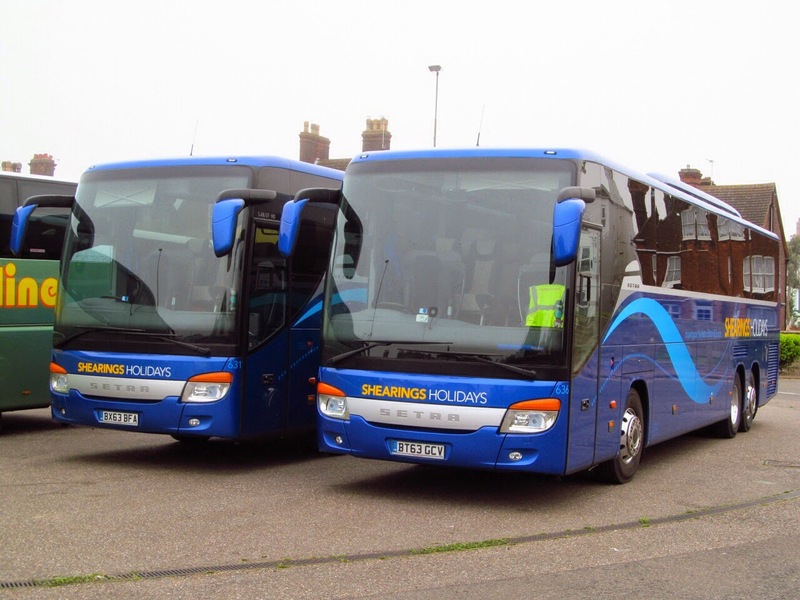 Eade observed activity at the Lowestoft end of the line yesterday where First were operating the rail replacement service. 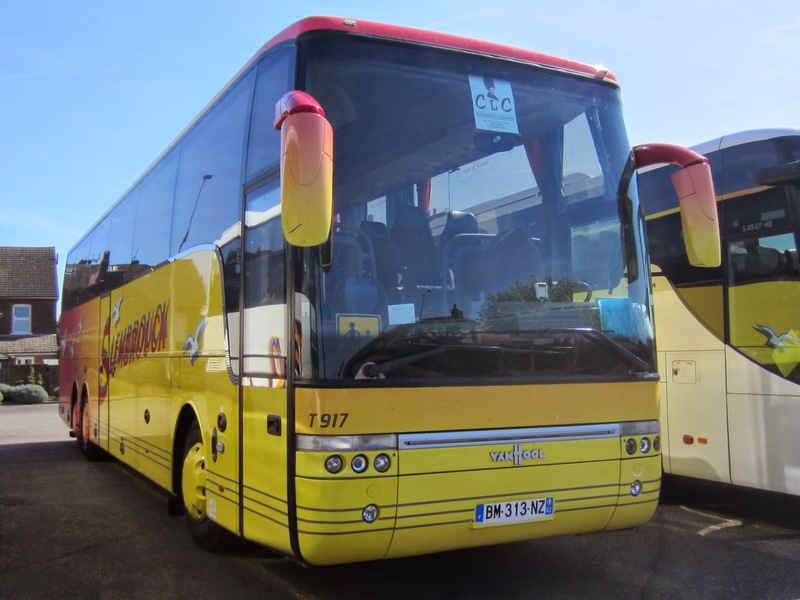 Enviro400 33423 SN60CAA was on rail replacement duty and was running the booked services. 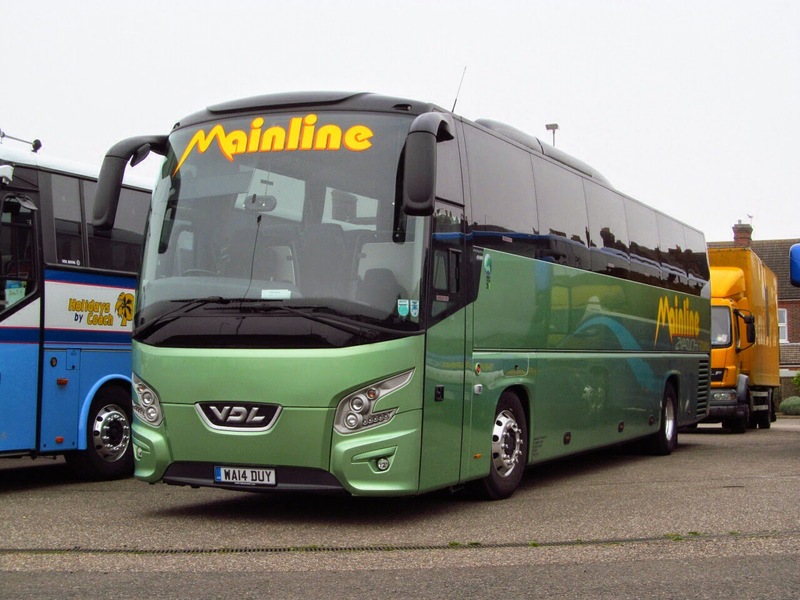 It is the first photo of 66332 MV02VBX seen out on the road since its repaint and it is thought that it was not in public service at the time - despite the destination showing as Wroxham! One of the seven is to give up its gearbox to enable another example to operate. In order to help launch his new venture in 1964, Norwich businessman Kevin Shortis booked an advert of the back of a bus. 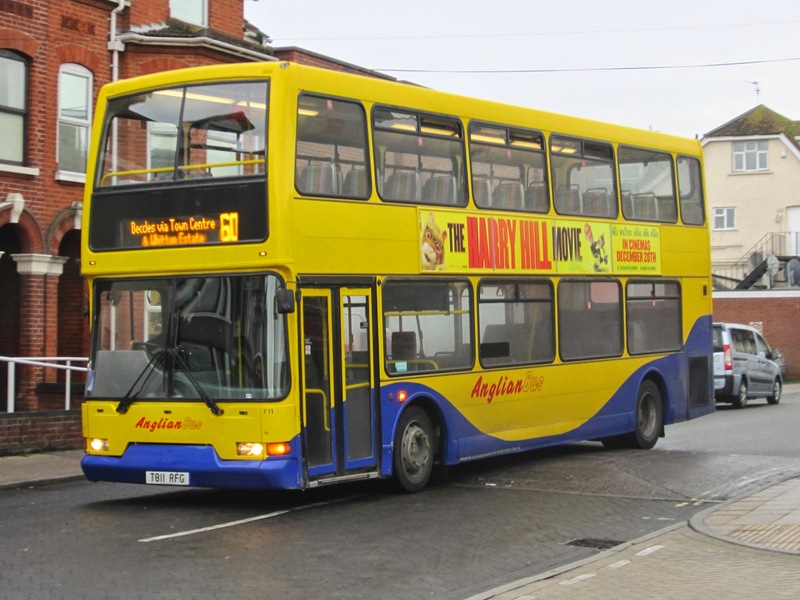 Now five decades later, the Shortis Group has again trusted the bus to promote its message after a new mega-rear advert was been created on six First Buses. Kevin Shortis, now almost 75, is still heavily involved in the business which has 81 trading sites across the country and 600 employees, it is his son, Richard, who leads the business day-to-day in his role as managing director. The Shortis Group, which includes Wilco Motor Spares and Fast-Fit Tyres and Exhausts, was started in Barn Road, Norwich, in 1964. 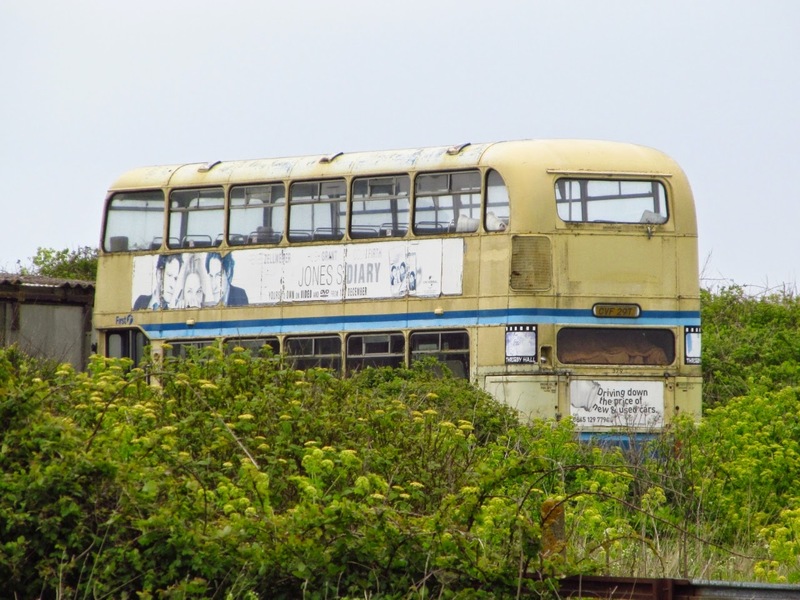 Its original advert is still on the back of a bus today – a vintage 1964 AEC Reliance which is stored at East Anglia Transport Museum in Carlton Colville. 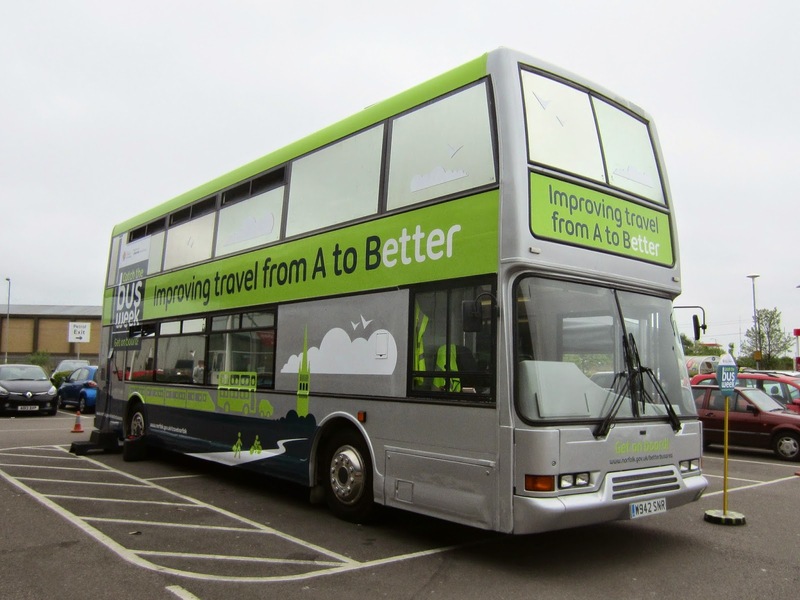 Ten years ago, the bus was saved from scrappage and restored to its former glory by a team from the museum, including First Eastern Counties’ staff manager, Richard Alger. 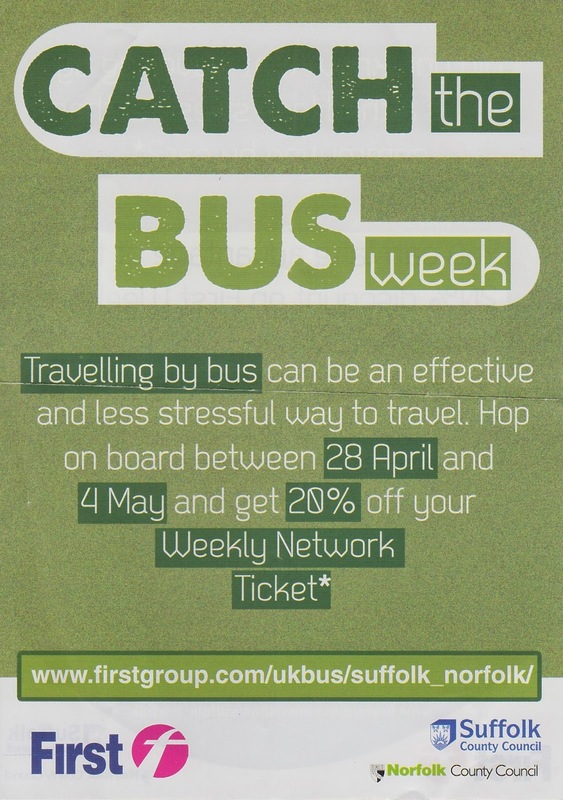 Buses in Norwich, Great Yarmouth, Ipswich and Leeds will carry the advert for six months. 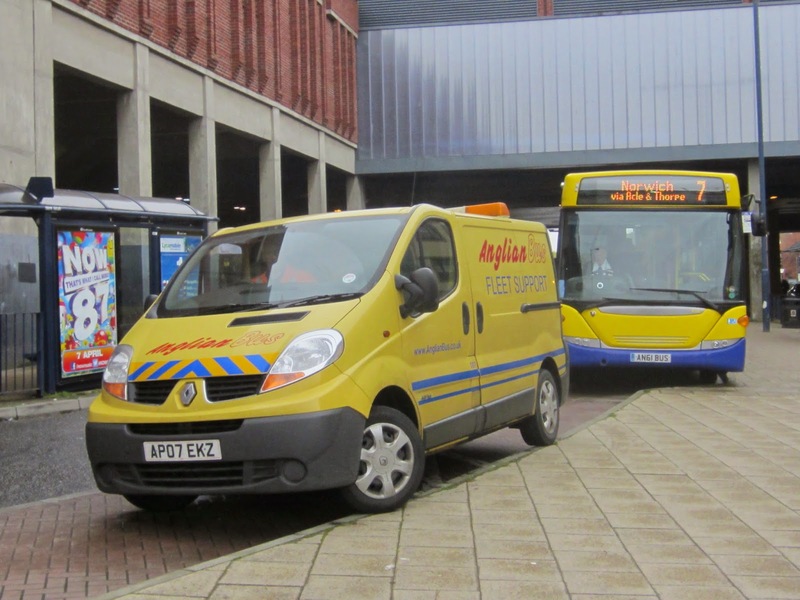 However, the vehicles were primarily showman's vehicles parked up in connection with the traditional late Easter fair. Not only that, other roads in the area were being used too. 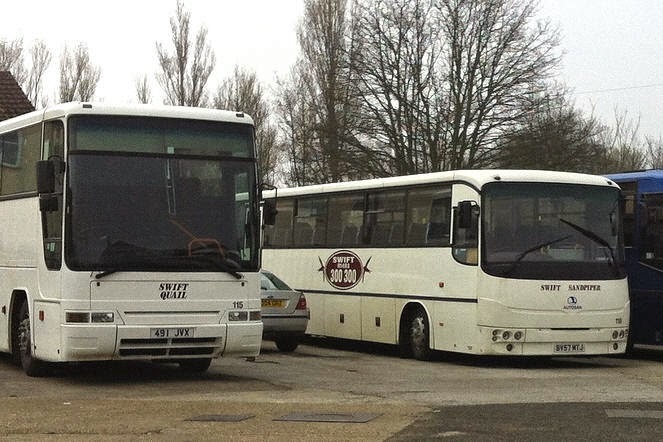 There continued to be a small area allocated for coach parking; if the coaches could get near to it! 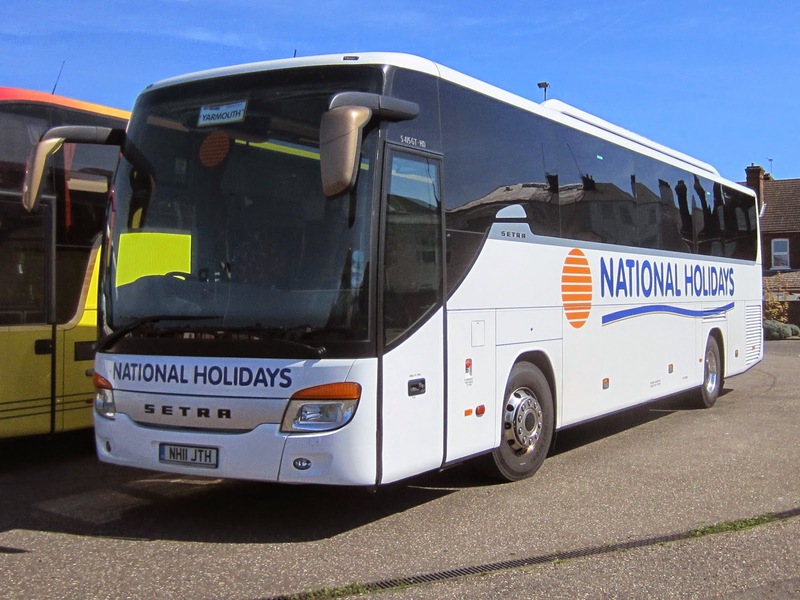 Amongst those that did were four coaches from the National Holidays/ Shearings Holidays fleet. 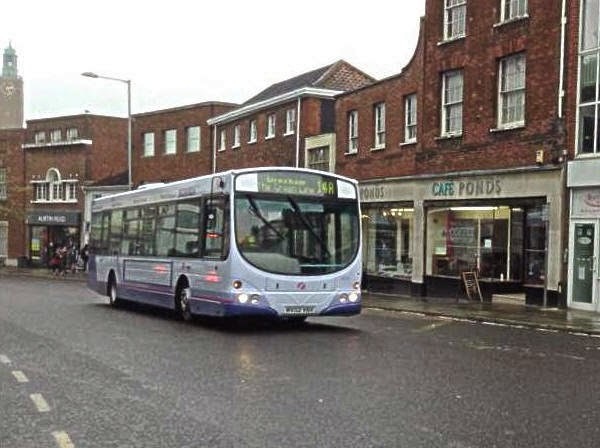 My first noteworthy photo is of Sanders Coaches Solo 210 YK04KWA operating Neaves service 32 to Wroxham in St Stephens Street. 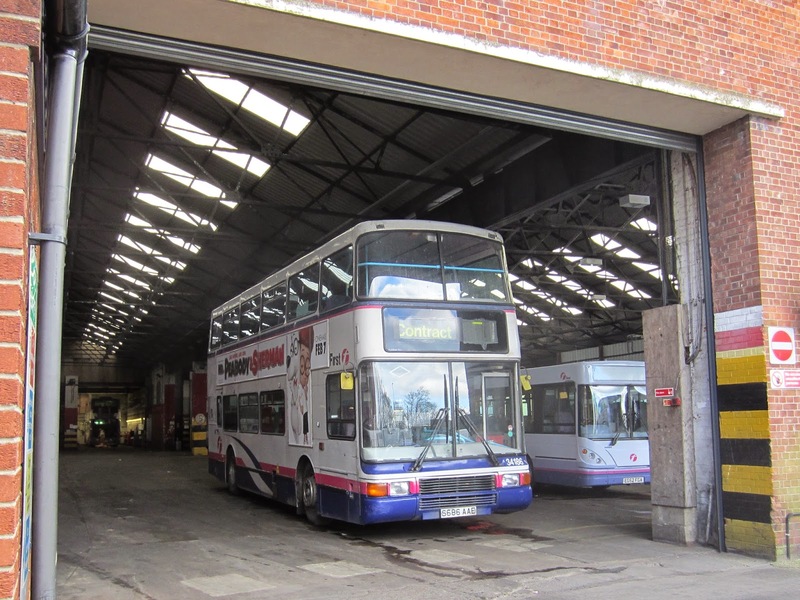 visit the bus station. 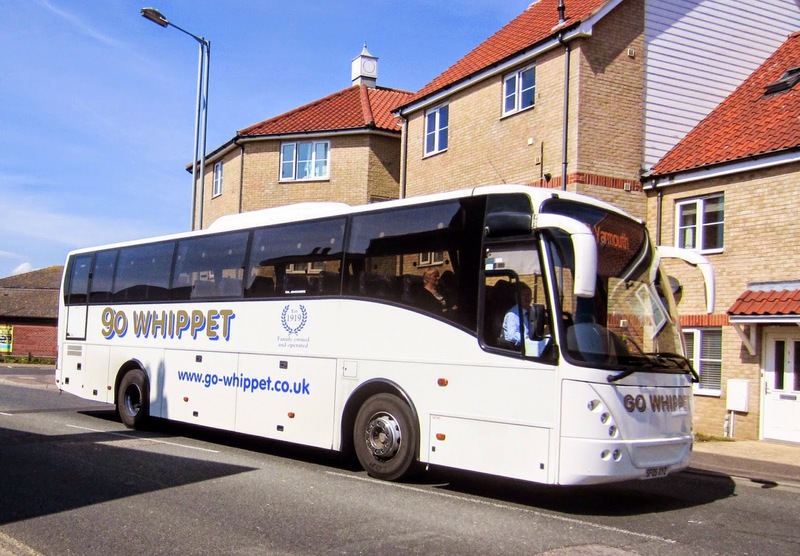 After signing in, I was about to take up residence on the west side of the site when a National Express service arrived. 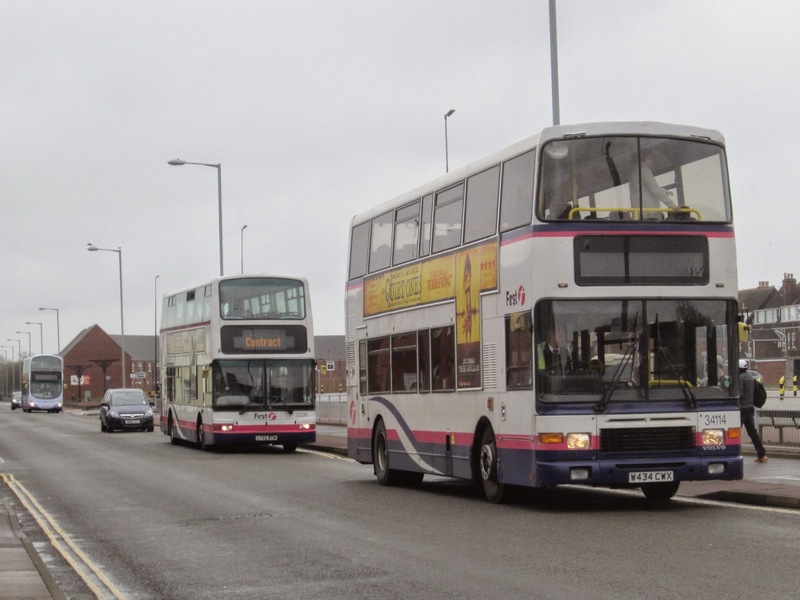 Finally, an excuse to get another photo of First Eastern Counties ADL Enviro400 33423 SN60CAA on the blog. 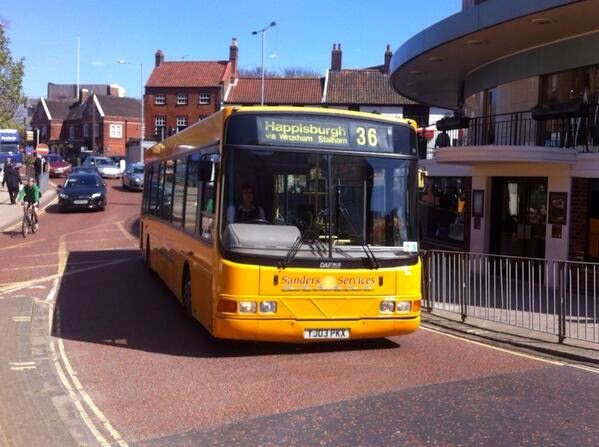 First Great Yarmouth liveried 33423 has now moved up from the X1 shorts to duties covering the whole of the route. 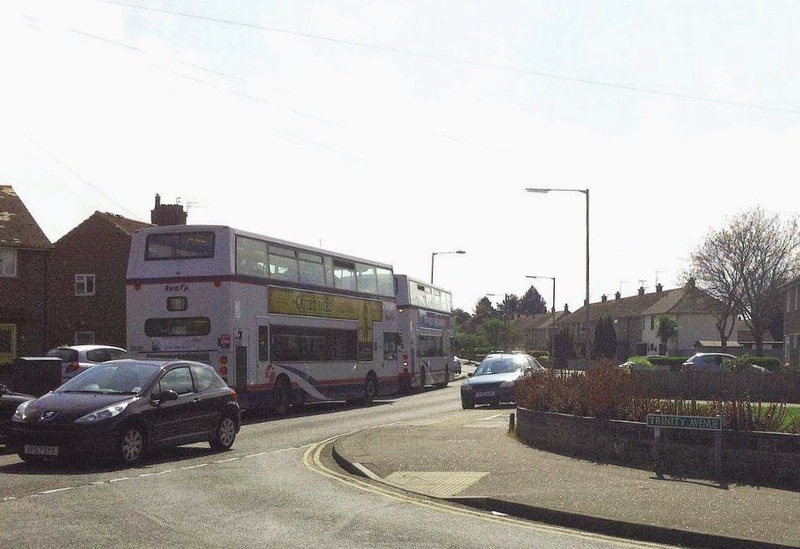 Late this morning I travelled from Gorleston into Great Yarmouth along Southtown Road and what a struggle it was to complete my journey - it took almost half an hour! 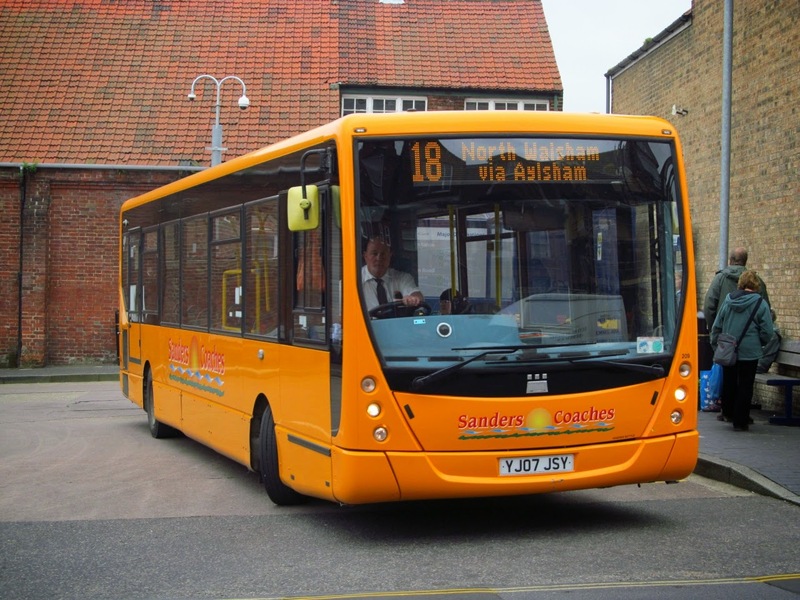 Buses all over place... No number 8 turned up in Yarmouth so I got a number 2 to Gorleston... 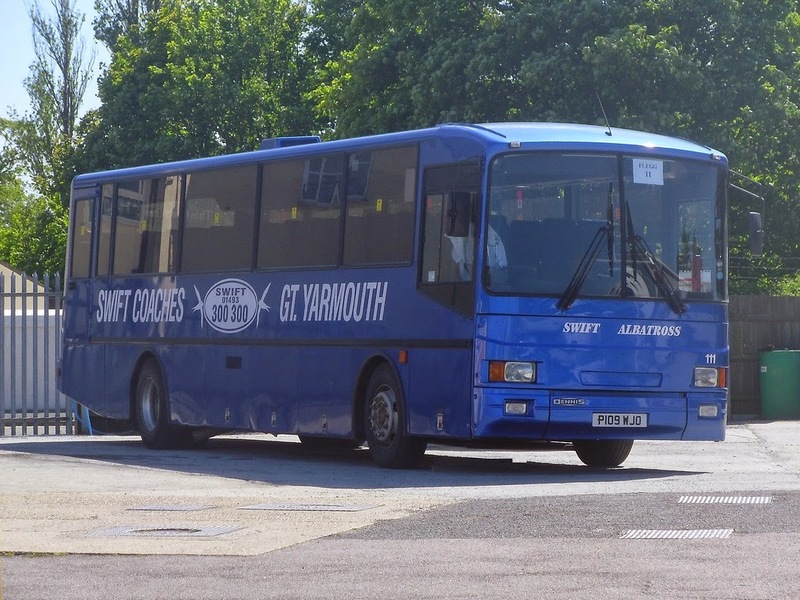 The driver reported it took her 15 mins to get from Yarmouth coach station to Market Gates! Sadly, even though the driver smiled, my camera only got a side view! My camera didn't take it quick enough as the bus I was on pulled away. Probably best as the front of it looks messy as the paint has started to flake off. Travelling along the High Street two minutes later, I spotted another number 8 James Paget bound! BM-313-NZ is operated by Slembrouck of Quesnoy-sur-Deûle and has number T917 affixed to its passenger side. It appeared to be on a private charter. 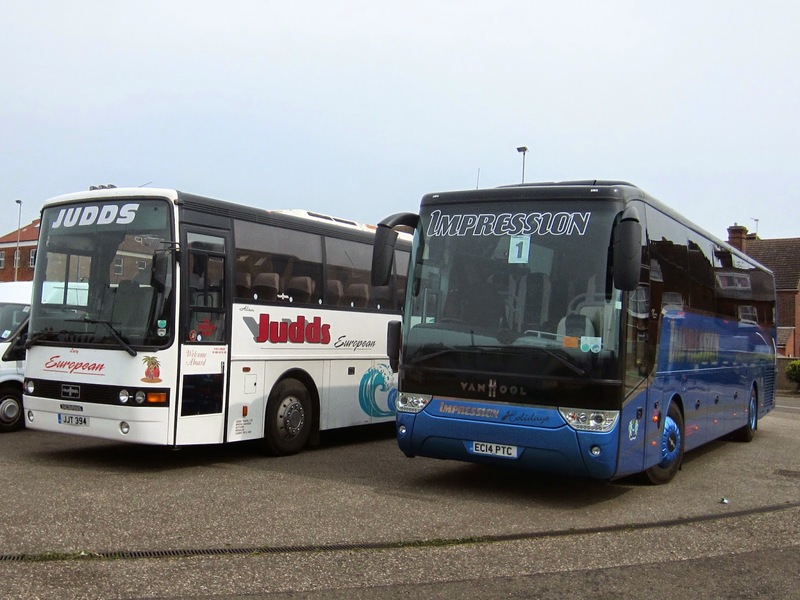 Also present were two of the National Holidays fleet; Setra NH11JTH and Volvo B12M MX04AFK. 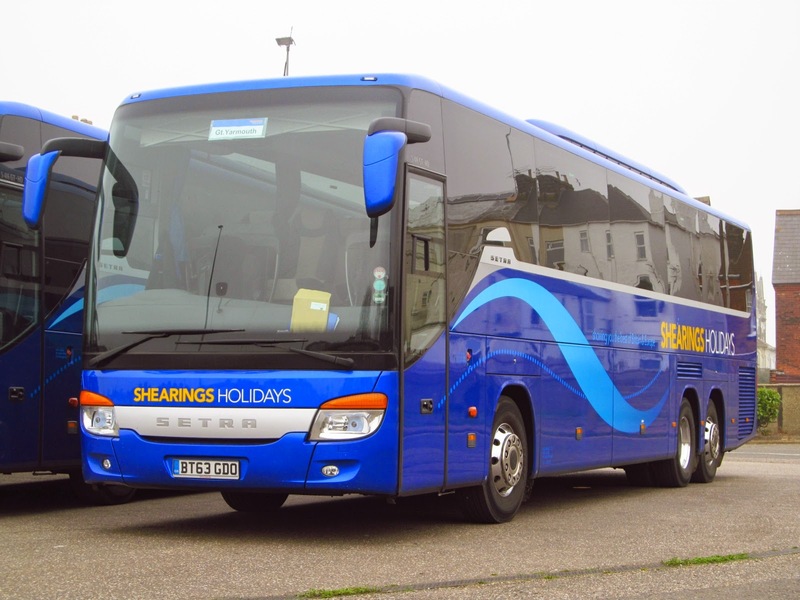 The latter was formerly with Shearings Holidays. First Eastern Counties are to amend the number of vehicles allowed to operate at some centres. Information source: Traffic Commissioner for the Eastern Traffic Area - Notices & Proceedings Report 2177 - published on 16th April 2014. 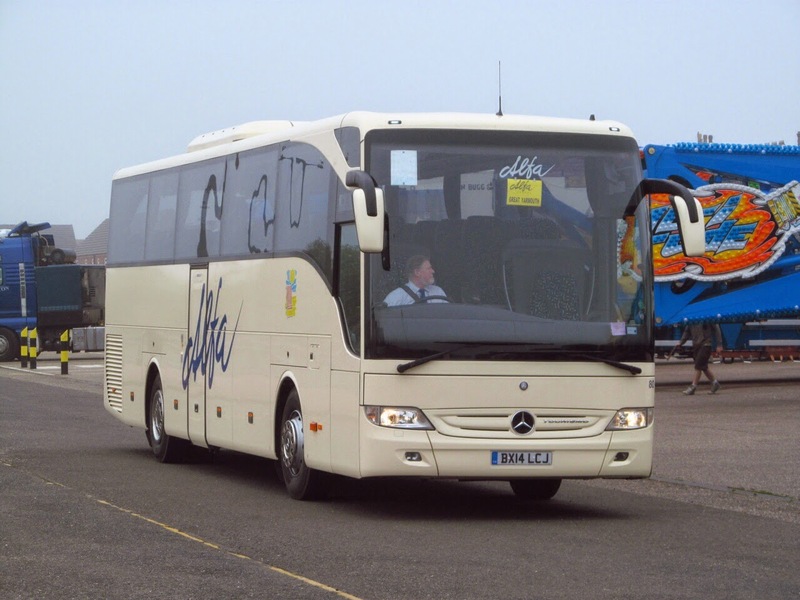 All vehicles and staff have transferred to Sanders as well as bus services 32 and 36. 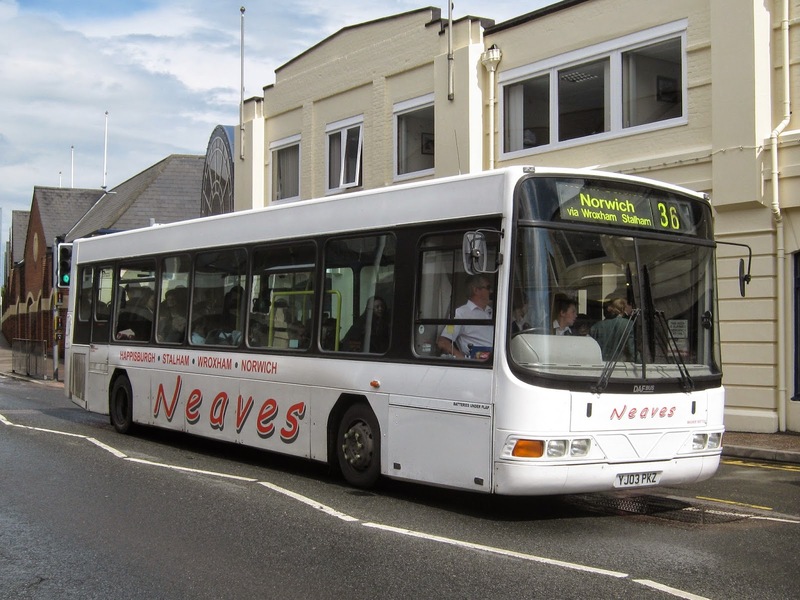 There will be no change to the timetables as Sanders plan to operate the services with Neaves current staff, providing continuity to existing customers. I initially thought that they represented four completely different companies but, on closer inspection, three of them were actually from the Mulleys' fleet! 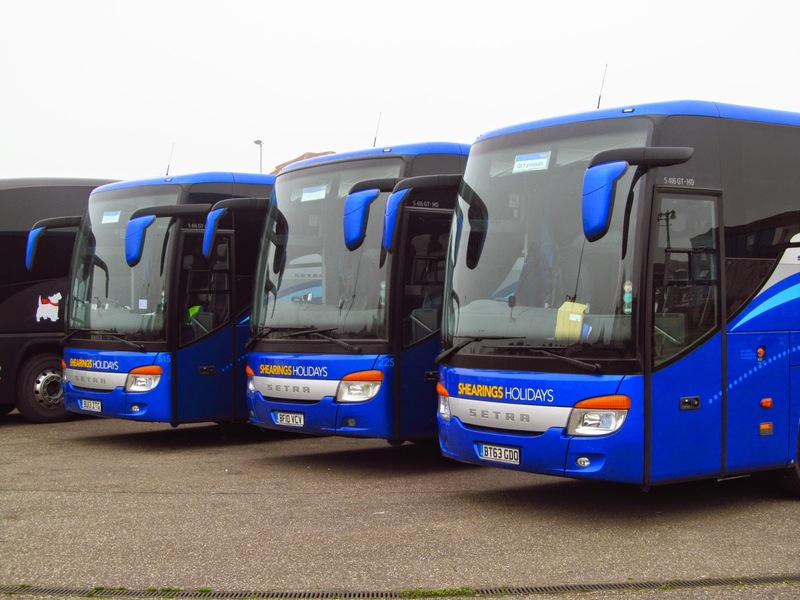 Jonckheere WCF99 with similar Volvo B10M/ X472KUT in light blue making up the trio. 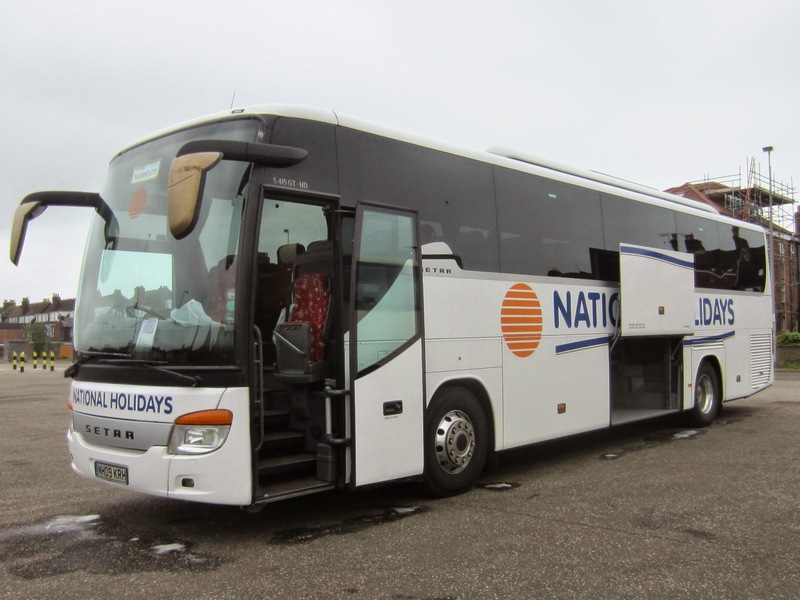 The fourth coach present was NH06FEH, a Volvo B10M/Plaxton Panther from the National Holidays fleet. 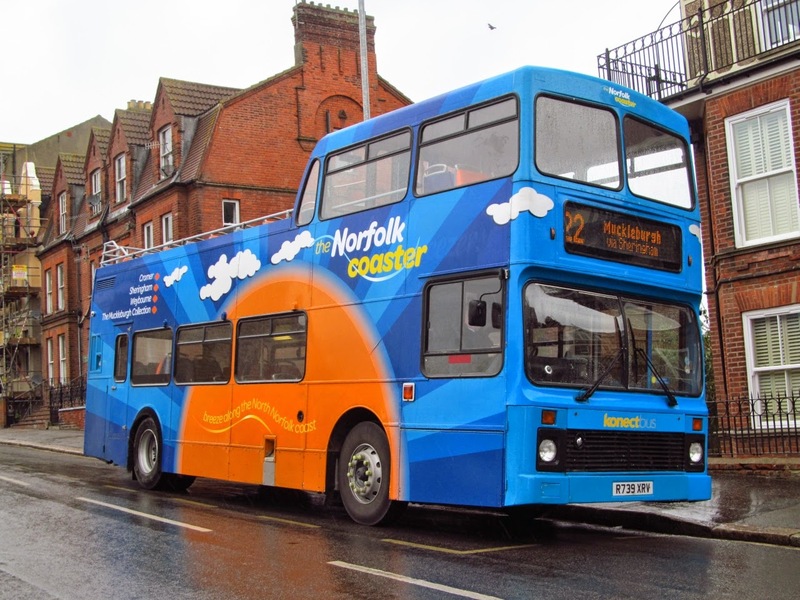 The results of a national bus passenger survey published by independent watchdog, Passenger Focus, have revealed that First’s customers in Norfolk have seen an increase in satisfaction. 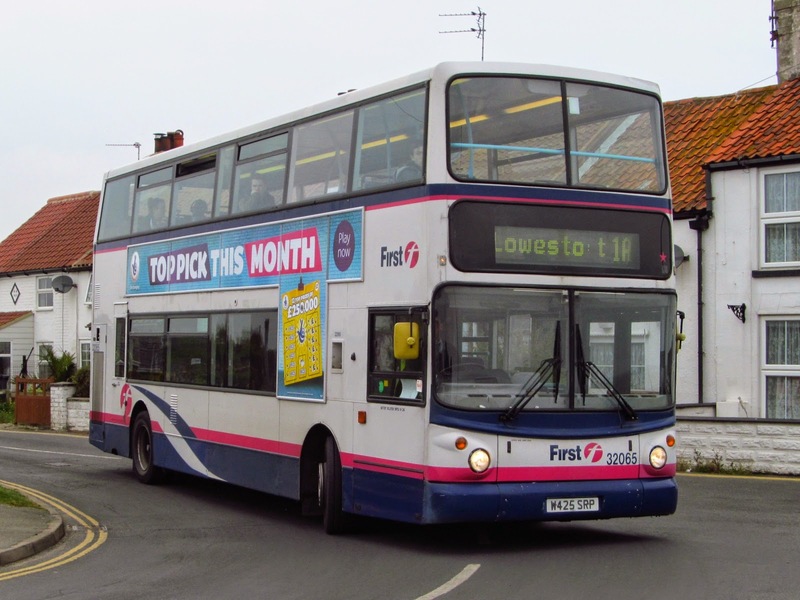 89% of First’s customers in Norfolk said that they were ‘very satisfied’ or ‘fairly satisfied’ with the service in the county – a 2% increase since 2011. 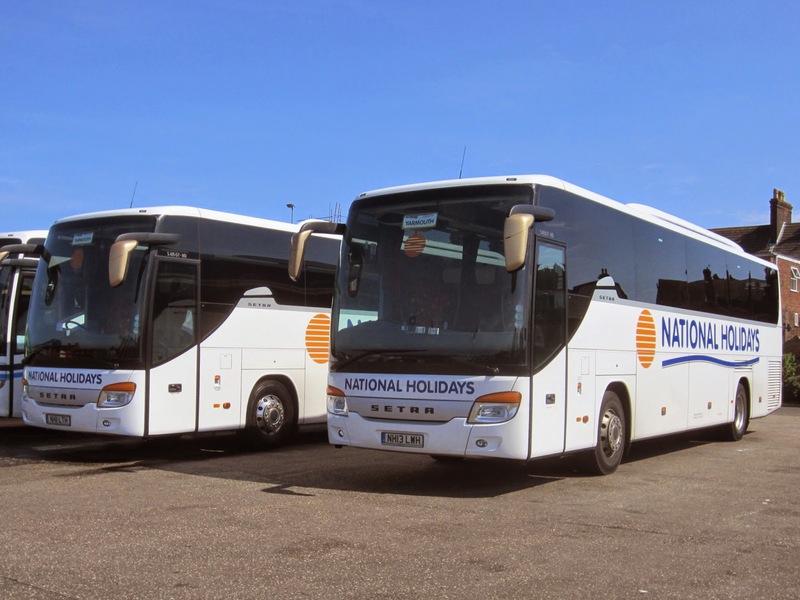 Passenger Focus’ National Bus Survey is considered the bus industry’s definitive gauge of passenger satisfaction. The survey was carried out between 8 September and 1 December 2013. 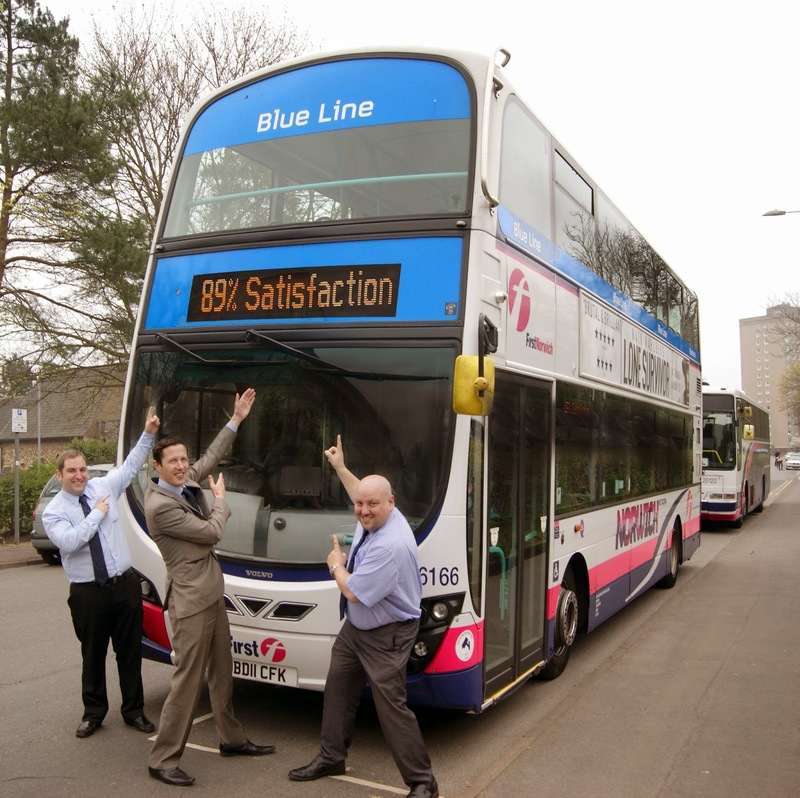 The survey also noted improvements in punctuality, the cleanliness and appearance of the buses and drivers’ attitudes. 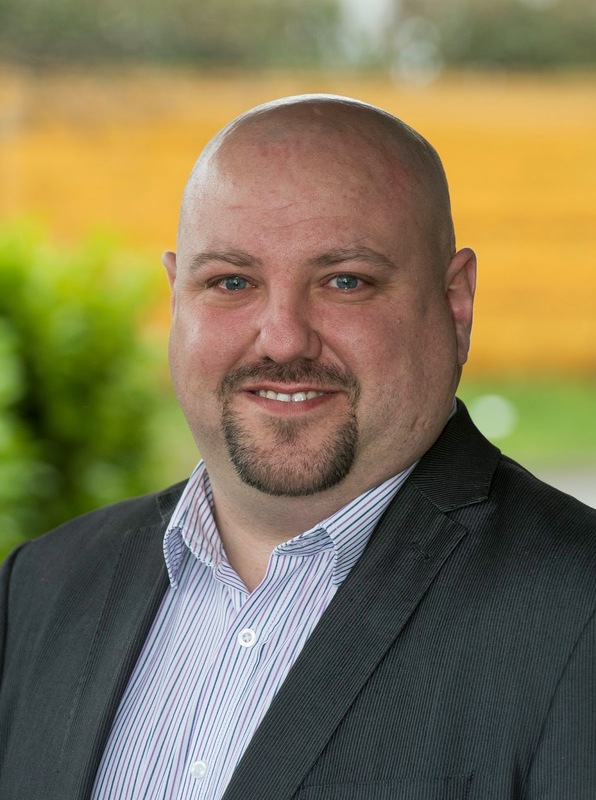 Managing Director of First Eastern Counties, David Squire, said: “We are thrilled with our score which reflects the hard work and commitment of all my colleagues. 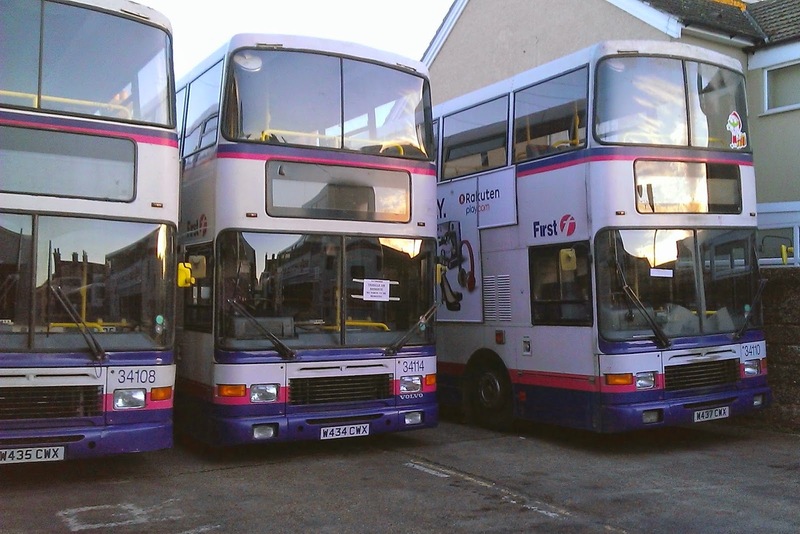 We’ve got excellent teams in place at our depots who are improving our services and helping to encourage more people to travel with First.”. 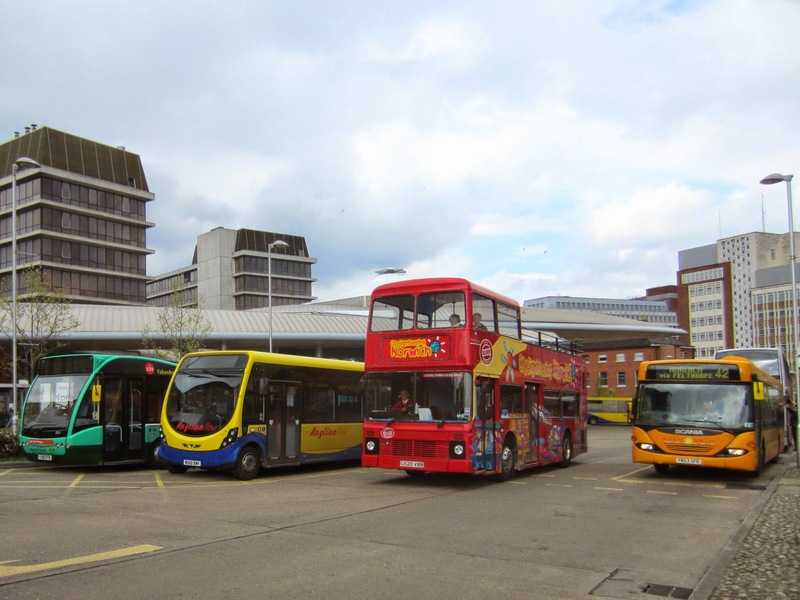 There was a triumvirate of buses (posh word for three!) appearing instead of the normal twosome on the contract. Not only that, but they were of three different types as well! 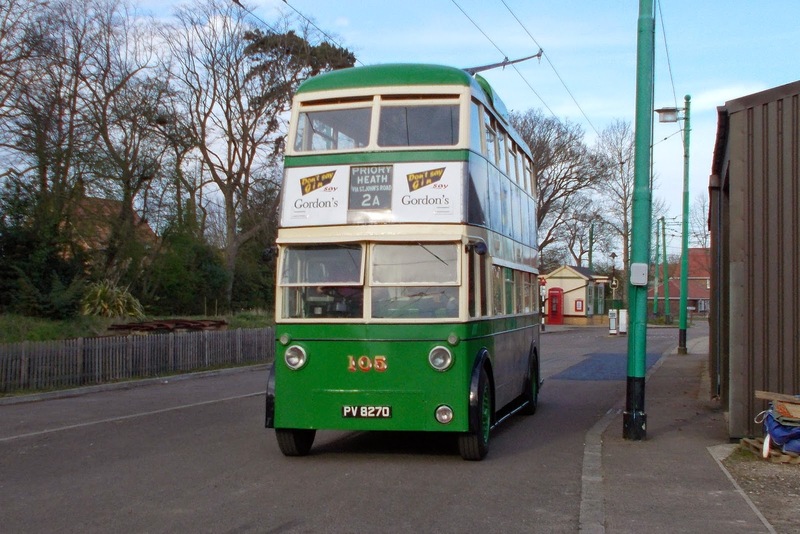 Number 105 is not the first Ipswich trolleybus to operate at the museum, as for a time, in the early 1970's and 80's it was home to number.44 which was on loan from the Science Museum. Ultimately the vehicle was returned to the custody of the Science Museum and it currently resides in its store at Wroughton near Swindon. 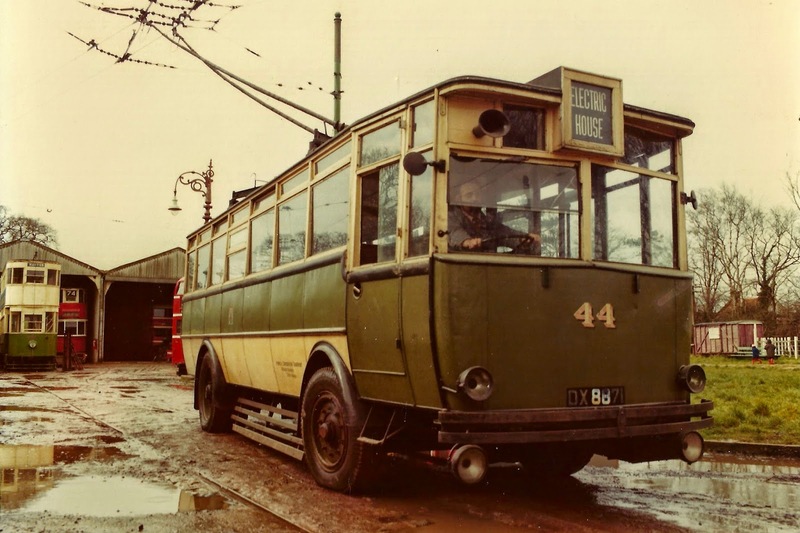 During the time 44 was at the museum' agreement was reached for the vehicle to be tested under power and ran around the museums somewhat limited overhead layout at the time. A fifth posting on the blog in one day - a bit of a record for me! A reliable source informs him that coaches are currently out of service. BMC Schoolbus BX55OFN is also out of service and awaiting repair after it broke down when leaving the depot the other day.